Trip was born in Quantico, VA. Born into a Marine Corps family he found himself moving every four years. He lived in Jacksonville NC, Virginia Beach VA, Washington DC, Apex NC, Cullowhee NC, Columbia SC, and Myrtle Beach, SC. Growing up Trip was very active with sports having a true passion for both football and baseball. Trip graduated Western Carolina University in 1999 with a BSBA in Business Management. In college he became a member of Sigma Phi Epsilon Fraternity. After college he pursued a professional career with Outback Steakhouse. In 2003 that career brought him here to Myrtle Beach owning and operating The West Myrtle Beach Outback on HWY 501. With Outback, Trip won Partner of the Year four years in a row, Myrtle Beach Restaurateur of the Year 2014, and South Carolina Restaurateur of the Year in 2014. In Jan 2016, after 22 years with the company, Trip decided it was time to retire. Trip is married to Juliann DeForrest. They are raising two beautiful children together here in Myrtle Beach. The DeForrest's enjoy boating, working out, sports, backyard bbq's, the beach, swimming, and traveling. Trip came on board with BRG April 2016. 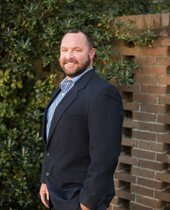 He has always had a passion for Real Estate and is extremely excited and motivated about the future with Beach Realty Group. Trip was so very helpful and knowledgeable. I am relocating to S. Carolina to retire in October. His friendly manner made the process smooth and stress free I love my new condo. My daughter and sisters are thinking of moving to the Myrtle Beach area and I will be referring them to Trip when the time comes. This young man is a credit to your organization. Lin and I met Trip several months ago looking at a Home in Surfside Beach . I being in sales myself saw something in Trip I liked and hired him to be my realtor . 40 houses later and several months we found our house . He even cut my grass at our new home closing day ???? . We will listing our old home with Trip and BRG in July if all goes well.